The company has regrets about the 2016 U.S. elections. People stand in front of a logo at Facebook's headquarters in London, Dec. 4, 2017. 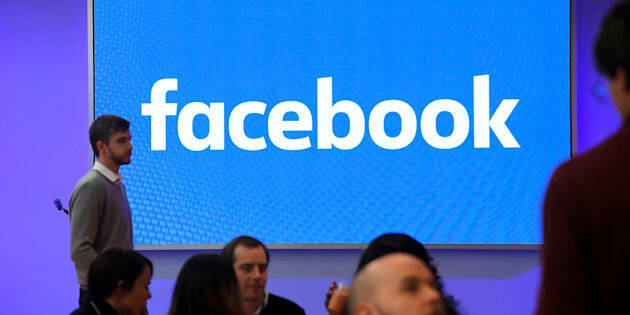 SAN FRANCISCO (Reuters) - Facebook Inc <FB.O> warned on Monday that it could offer no assurance that social media was on balance good for democracy, but the company said it was trying what it could to stop alleged meddling in elections by Russia or anyone else. Facebook, the largest social network with more than 2 billion users, addressed social media's role in democracy in blog posts from a Harvard University professor, Cass Sunstein, and from an employee working on the subject. "I wish I could guarantee that the positives are destined to outweigh the negatives, but I can't," Samidh Chakrabarti, a Facebook product manager, wrote in his post. Facebook, he added, has a "moral duty to understand how these technologies are being used and what can be done to make communities like Facebook as representative, civil and trustworthy as possible." Contrite Facebook executives were already fanning out across Europe this week to address the company's slow response to abuses on its platform, such as hate speech and foreign influence campaigns. U.S. lawmakers have held hearings on the role of social media in elections, and this monthFacebook widened an investigation into the run-up to Britain's 2016 referendum on EU membership. Chakrabarti expressed Facebook's regrets about the 2016 U.S. elections, when according to the company Russian agents created 80,000 posts that reached around 126 million people over two years. Twitter Inc <TWTR.N> and Alphabet Inc's <GOOGL.O> Google and YouTube have announced similar attempts at self-regulation. Sunstein, a law professor and Facebook consultant who also worked in the administration of former U.S. President Barack Obama, said in a blog post that social media was a work in progress and that companies would need to experiment with changes to improve. Another test of social media's role in elections lies ahead in March, when Italy votes in a national election already marked by claims of fake news spreading on Facebook.